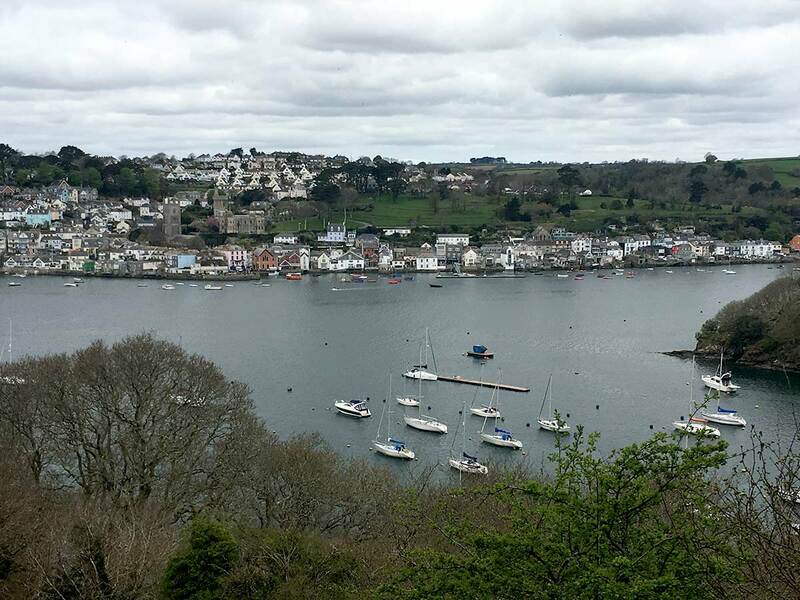 Fowey takes its name from the river that it lies at the mouth of - the River Fowey. And this most pretty of harbourside villages is pronounced FOY (as in joy) not FOW-EE! Attempting a coastal walk (and living in Cornwall) you expect, almost become accustomed to beautiful scenery. On Hall Walk I hadn’t realised it was quite so spectacular! As the walk meanders around the estuary it is hilly in places (certainly hillier than I expected!) but this means that there are amazing view points and photo opportunities. 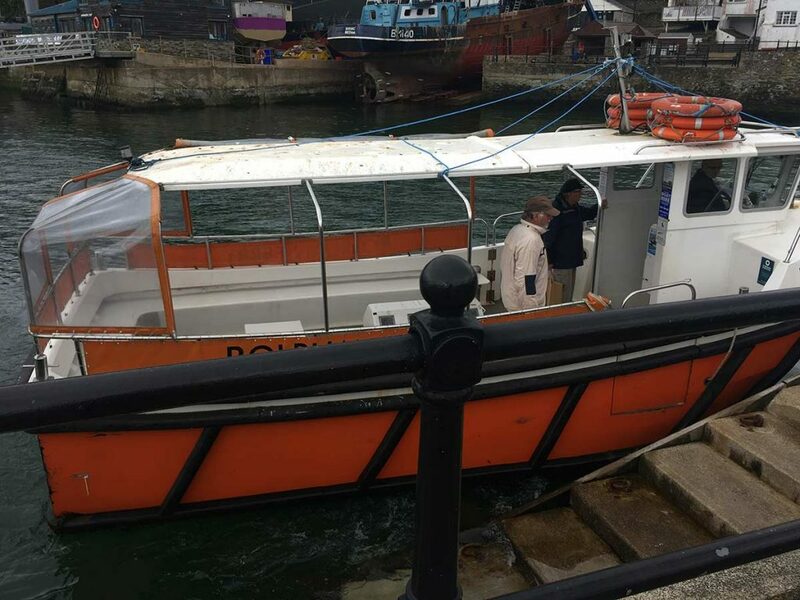 It was a novelty to hop on and off the two ferries, one from Fowey to Polruan and the other from Bodinnick to Fowey (or the other way around). Even the views from the ferry were amazing. All around was in bloom the flowers, wild garlic and bluebells were out. Pont is my favourite place and it’s so quiet and serene, there were little ducks and swans in the water. 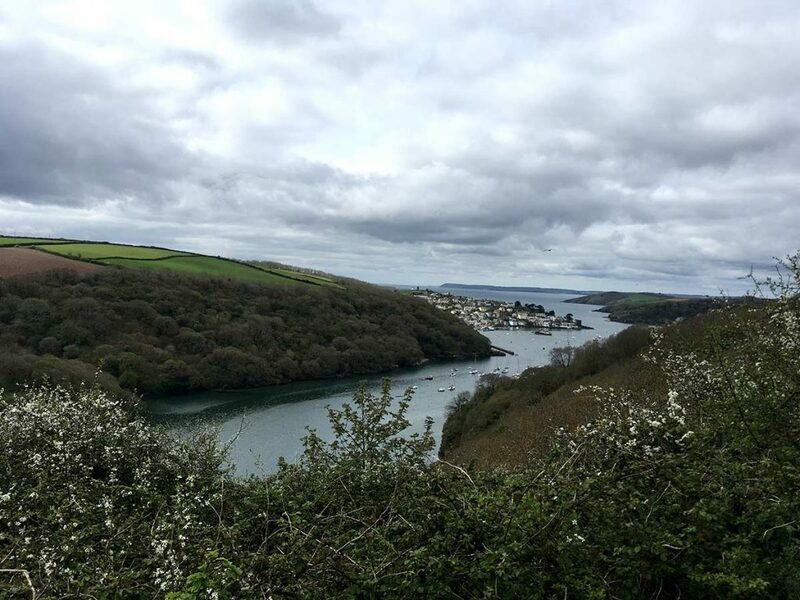 The views and landscapes are amazing as the walk takes you high overlooking Fowey. It’s also nice to sit and watch the boats come in and out in Fowey. Technology, eh! 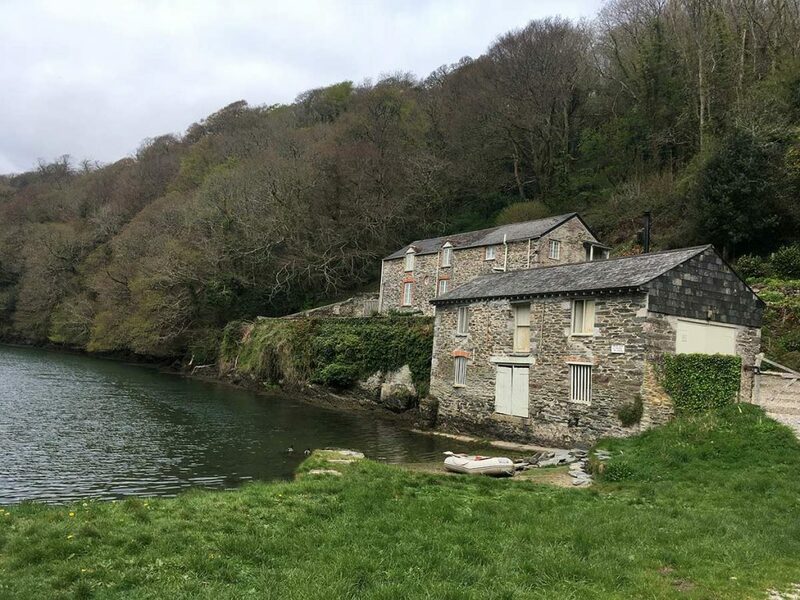 I wanted to park in Caffa Mill in Fowey, right by the ferry but I didn’t manage to get to the car park as my sat nav didn’t take me the right way! I ended up in the main car park, which was up the hill and quite a walk. If you don’t mind the additional steps on your Fitbit then this isn’t too much of a concern. 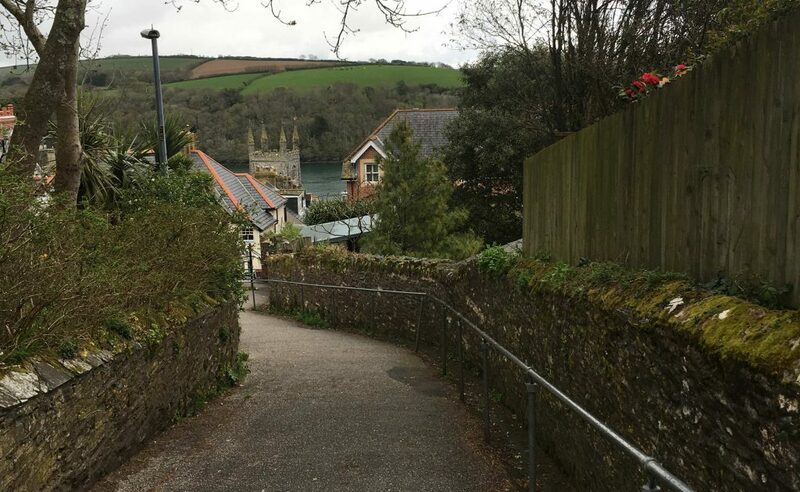 Walk down the hill from Fowey's main car park. Who might enjoy this day out and why? At approximately 4 miles, taking 2-3 hours with a few decent hills, this is a walking trail for keen walkers, I would say. It’s also a perfectly dog friendly walk. 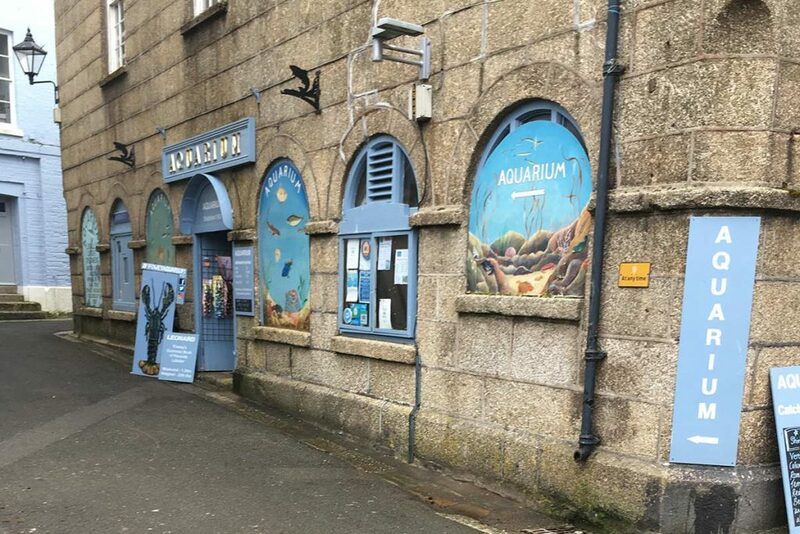 There is a tiny aquarium in Fowey, and it’s a bustling little town with shops, cafes pubs and restaurants set on the water’s edge. So there’s more than enough to make a full day of it and more. 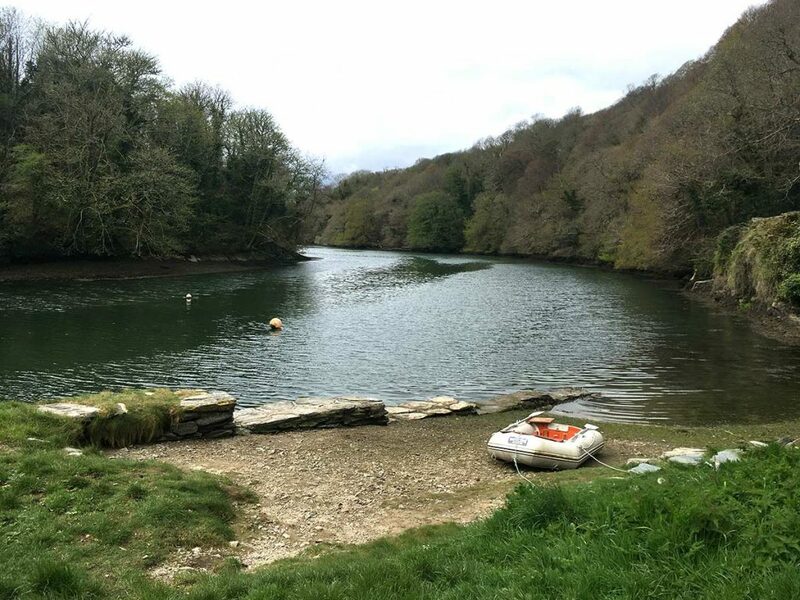 Fowey is a perfectly picturesque place to spend a weekend. I’m planning on going back and taking my husband and going for a drink and maybe lunch at the Lugger. Park at Caffa Mill car park. I printed of the directions of the walk before I set off although there’s 3G or 4G all the way around the walk. Don’t pick the hottest day of the year! Use the Just Park app (you can pay on the app for parking and you can keep checking how many minutes you have left or can extend your stay on the walk if you need to). If it’s wet take waterproof boots (two places were muddy on what was a dry day). 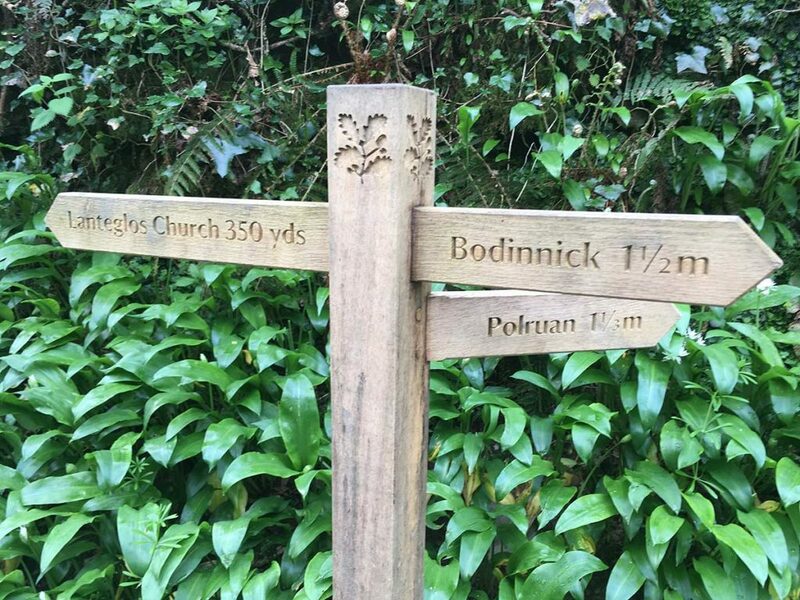 The Fowey to Bodinnick ferry is £1.80 and the Polruan to Fowey ferry is £2.00 so take some change with you. About the author: Hailee is customer experience adviser and visited the Hall Walk in April 2018. For her next day trip she is going to Paradise Park, a wildlife sanctuary in west Cornwall.